We are excited to roll out the faster EMV processing upgrade, and let our clients be some of the first to experience relief while maintaining the strictest security measures. With universal feedback regarding the speed of EMV chip processing, TransMerit Merchant Services has taken steps to ensure their clients are first in line for the approaching “Quick Chip” credit card processing update. Announced by all major credit card brands with timing to be determined, this update will reduce transaction time by two to two-and-a-half seconds. 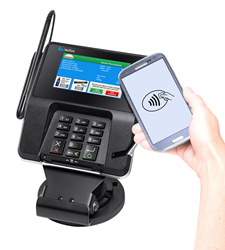 Once available, TransMerit plans to download the software update to client terminals, giving clients quick and easy access to Quick Chip credit card processing benefits as soon as they’re released. Through partner Verifone, TransMerit has preemptively obtained and disseminated to clients the most up-to-date information on the EMV update, including back-end details of the change, impact and benefits, next steps, and useful questions to ask. Founded in 2014 and based in Los Angeles, CA, TransMerit Merchant Services is a full-service merchant company serving small and large businesses. TransMerit offers customized enterprise programs to aid in business development. These solutions include savings on merchant processing rates, equipment, analytics, and merchant cash advances. TransMerit is at the forefront of change in the merchant services business, extending the very latest in programs and equipment for Visa, Master Card, American Express, and Discover. To learn more, visit transmeritmerchantservices.com.